Maria Teresa was born to Paul Nuzzo and Louisa Morrocchi on 11th May 1851, in Valletta, the capital city of Malta. She was baptised on the next day in the Collegiate Parish of St.Paul. Maria Teresa was the second born of their seven children. At the age of eight years, she received the Sacrament of Confirmation, and reaffirmed her baptismal promises. She tried to live her Christian values, and to be a true witness of her faith. Her parents were devoted Christians, and gave Teresa good examples by their words and deeds. In particular, she remembered with gratitude the true faith and trust in God of her father. In the early years of the life of Maria Teresa, the Maltese Islands were going through a period of great poverty. Education was not compulsory, and only a few parents could afford to pay for the schooling of their children. Then, most children did little work outside home in order to earn money to help their families. However, Maria Teresa was among the lucky few who could receive education. At the age of fifteen years, she had already completed the education appropriate to the children of her age. She was greatly talented in handiwork and music. Besides these, she had great interest in the welfare of children. At her age, she hardly knew of the noble mission that awaited her in the future. Her aunt, Rosina, ran a private school. She was fast-aging, and her eye-sight was also failing. So, she was looking for someone to take over her work. She noticed how much Maria Teresa was talented with children. So, in 1867, at the age of 16, Maria Teresa was given the responsibility to manage her aunt's school. Rosina, by then, was completely blind, and she died soon after on 4th March, 1867. Maria Teresa soon developed experience in the running of the school, and she was mainly close to the little ones, especially the poor and suffering ones. When she was still young, Maria Teresa had the desire to embrace religious life, but given the circumstances around her, she was unable to make a decision. She realised that her parents and the family needed her. Especially her father was seventy and was ailing, and indeed, needed her more than ever before. Moreover, she was running the school. Then, as an alternative, at the age of 21 years, she thought of the possibility of taking private vows of poverty, chastity and obedience, as a lay person. 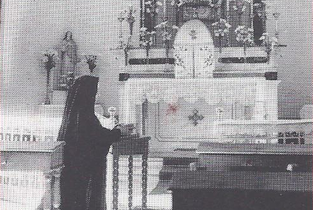 Throughout her life, Maria Teresa could not take any decision without first consulting her spiritual director, Mgr. Pietro Pace. So, she did not hesitate to present her difficulty to him. The latter encouraged her to take her private vows which she in fact did Two years later, her father passed away, when Maria Teresa was only twenty-five. Later, Maria Teresa still felt inclined to enter the convent. Moreover, she wanted to join the cloistered nuns. Once again, she brought this to the attention of her spiritual director who straight away told her: "You are not suited for the cloister". So, Maria Teresa was working in the school and in catechetical and pastoral care after school hours. A year later, in 1881, her mother passed away. 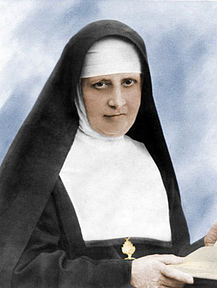 Besides thinking of dedicating her entire life to God, she did express her desire to set up a religious congregation who would follow Christ closely, and be dedicated to the charitable service of education and social work. After a long struggle, in 1902, she managed to see the realisation of her dreams. Lack of finances was an issue, but she trusted herself completely in God's providence. God's ways are not our ways. 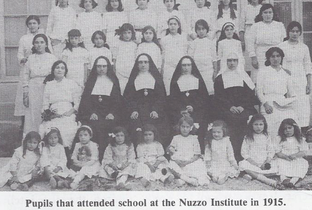 Her cousin, Enrico Nuzzo shared the same ideal: to help the unfortunate in society, especially he wanted to help girls in the area of education. In his mid-life, the latter desired to use his money for such a social project, and told Maria Teresa of his ideals. The latter expressed the desire of accepting the offer and her desire to form a Religious Institute. Enrico had entrusted the plot with a house for the project to the Archbishop who had known Maria Teresa and her hopes. 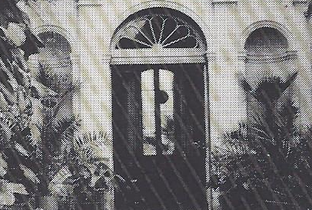 In 1902, the building started and, in 1903, Maria Teresa and the first members of her new foundation started living in their new house. This marks the beginning of the Congregation, Daughters of the Sacred Heart. The Congregation was officially founded on 21st November 1903, when Maria Teresa with a few women who followed her formed the first community. This is the Founding day and is highly recognised by every Daughter of the Sacred Heart. Today, the Daughters of the Sacred Heart are in the following countries: Malta, Rome, India, Kenya, Uganda, Tanzania, Philippines and United States of America.